This super-slick CV template uses a cog motif and a splash of orange to create a Operations Manager theme, although it would work very well for most business roles. Starting with a bold black page border, the template uses vertical headers and carefully thought out spacing to create a highly professional layout. Intermingled with your key information, you'll find space for 3 quotes from your referees - and a dedicated section to highlight your best achievements. As with all of our templates, you can easily lengthen, shorten, add or remove sections to meet your own needs. Free CV template with sample information for an Operations Manager, in Word	Overall rating:	4.7	out of 5 based on 4	reviews. Our Operations Manager CV template uses the Open Sans font family from Google fonts. Visit the link below, click 'Select this font' (top right in red). then click the black rectangle that appears and click the red download arrow on the right hand side. You'll need Open Sans (regular). Open Sans Light and Open Sans Extra Bold as a minimum, but it's such a lovely crisp font you may want to install all of the options for yourself! If you have any difficulty printing this template, we suggest removing the border. Other suggestions for editing this template are below. Here is the second page of this free Operations Manager CV template (NB: In the template, the icons are in orange, like the first page). 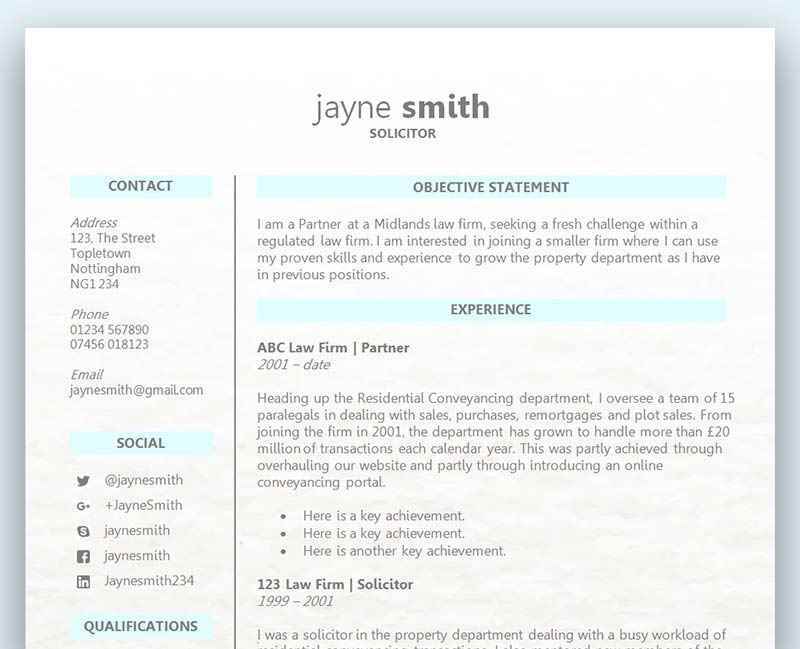 The image in this file is used under licence and must not be reproduced, except in connection with the use of this CV template for your own personal use. If you’re struggling to see where the tables are used within this template, we would suggest turning on the text boundaries feature in Microsoft Word To do this, in Word 2010, go to FILE > OPTIONS > ADVANCED OPTIONS and under ‘SHOW DOCUMENT CONTENT’ select ‘SHOW TEXT BOUNDARIES’. Go to FILE > OPTIONS > ADVANCED and underneath ‘IMAGE SIZE AND QUALITY’ select ‘DO NOT COMPRESS IMAGES IN FILE’. Save the template from Adobe Acrobat as a PDF, or whilst in Word, choose PRINT and then choose ‘PDF’ as the printer. Searching for a job and writing a CV can be a very difficult and stressful process. Using a CV template might seem like a great idea to save you a lot of time and worry, but is it the right thing to do? One of the most obvious reasons why you’d choose to use a CV template is the amount of time you’d save. Having to create your own template would take a long time – especially if you wanted it to look professional. Attempting to make your CV look as good as what’s already on the internet might also be a difficult task. The only time you’d need to spend is the amount it took you to choose the right one for you. There are lots of CV templates to choose from, and some of them are created with a specific career in mind. Once you’ve decided on the right CV template for you, you can now move on to the more important matter of writing the content. The whole entire process of searching through the job listings and then writing a CV can be very stressful. Anything that can save time and alleviate some of that stress is a sure fire winner – so naturally this makes choosing a CV template the obvious choice. Some CV templates have been written with a specific job or career in mind. This could be perfect if you’re looking for every possible way of creating a CV that stands out and gets you noticed. There is so much information online to help a job seeker write a CV that employers are now receiving and expecting a much higher quality of applications. Using a template is fast becoming the standard process of writing a CV, and with so many other candidates using a CV template it could be a risky decision not to use one too. Choosing a CV template may be a great idea, but accidentally selecting one that the employer doesn’t approve of could hinder your chances. Ultimately you have to trust your own judgement on the look and layout of a CV template, and if you make a bad decision you could struggle to get an interview. Before you assume that you’ve chosen a professional looking CV template, make sure you are happy with the credibility of the website. Have you used the website before? Does the website look professional? Does the website have a lot of templates to offer? If you’re happy that the site seems reputable and are clearly professional writers, then you shouldn’t have anything to worry about. Look for reviews under each template and see what people are saying. However, you should still get a second opinion on the template you’ve chosen as it’s good to know that others agree it is the right fit for you. Using a CV template can sometimes trick you into thinking that most of the hard work has been done, but of course this is just a starting point. Although the layout and design of a CV template plays a huge part in impressing an employer, it won’t get you anywhere if the content isn’t up to scratch. The CV template you’ve chosen may also not quite be the right fit for your skills and qualifications, so you should always make any small tweaks to ensure you don’t leave anything important out. You will often notice that a CV template already contains some fake details to better demonstrate how your CV could look, but make sure you completely remove everything and tailor your CV to the role. Although your template has been set in stone, it doesn’t mean to say your details are. Always write a tailored CV for each and every role you apply for to make sure it stays relevant and fresh.